How to watch The Matrix Revolutions (2003) on Netflix Denmark! Sorry, The Matrix Revolutions is not available on Danish Netflix, but you can unlock it right now in Denmark and start watching! With a few simple steps you can change your Netflix region to a country like Japan and start watching Japanese Netflix, which includes The Matrix Revolutions. We'll keep checking Netflix Denmark for The Matrix Revolutions, and this page will be updated with any changes. The Matrix Revolutions is not available in Denmark BUT it can be unlocked and viewed! The final installment in the Matrix trilogy finds an unconscious Neo trapped in a subway station in a zone between the Matrix and the machine world. With Neo stuck in limbo, it's the hero who needs saving this time. Machines vs. humans, round three. There is a way to watch The Matrix Revolutions in Denmark, even though it isn't currently available on Netflix locally. What you need is a system that lets you change your Netflix country. 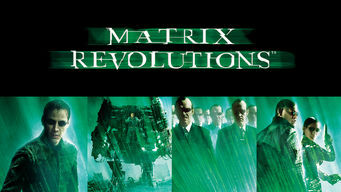 With a few simple steps you can be watching The Matrix Revolutions and thousands of other titles!